Western Wisconsin Health offers integrative health services that focus on healing the whole person, with the goal of improving the quality of life for patients. Integrative health is a holistic approach to healthcare that focuses on the mind, body, and spirit. It incorporates and complements your current healthcare treatments by tapping into your body’s natural healing capabilities. It can also address the biological, psychological, social and spiritual aspects of health and illness. These scientifically based therapies do not replace traditional medical care and therapies, but rather serve to complement them in promoting the healing process. New clients should arrive 10 minutes before their appointment time to fill out a health history form. *Must have an updated version of Internet Explorer 10 or above, Mozilla FireFox, or Google Chrome to schedule online. Otherwise, please call for an appointment. AcuEnergetics® is widely regarded as the most clinically effective energy healing modality in practice today. Chinese, Judaic, Indian and Western healing traditions combine with modern research and techniques to unleash this powerful energy modality. With its comprehensive understanding of the energetic physiology and anatomy of the body, AcuEnergetics® can transform pain and disease in the body and mind, by restoring the natural energy flow. AcuEnergetics® can be used for a wide range of issues, from anxiety and depression to digestive issues, physical pains, and physical or emotional traumas. AcuEnergetics® also provides cutting-edge therapy for post-concussion care to decrease issues and complications. Acupuncture relieves pain, restores vitality and enhances life. Acupuncture works by stimulating the body at prescribed points using sterile disposable needles no thicker than a human hair. Acupuncture helps promote a healthy recovery from surgery, offers relief from pain, nausea, and discomfort, and provides a sense of balance between the body and mind. Energy Therapy can include a number of methods of treatment, including Healing Touch®, Healing Symbols, Access Consciousness and Kinesiology. These non-invasive techniques clear, energize, and balance the human energy fields and chakras, thus affecting physical, mental, emotional and spiritual health and healing. If scheduling an appointment with Claire, please call 715-684-1505 as she does not offer online booking at this time. Functional medicine blends traditional medicine with what may be considered “integrative” or “alternative” medicine. With a focus on prevention using the latest advanced laboratory testing followed by prescribed supplements/drugs, therapeutic nutrition/diets, detox programs, stress management techniques, and hormone balancing, thus making it the future of traditional medicine. The goal is to restore optimal functioning of your physiology and moving you towards greater balance and wellness in your life. Functional medicine uses a science based approach to identify and address the root causes of disease. It is not a silver bullet or a one size fits all approach. Functional medicine views the body as one integrated system, treating the whole person, not just their symptoms. Functional medicine practitioners take time listening and taking histories to determine interactions between lifestyle, environmental, and genetic factors which impact long-term health. You are unique and the approach to bringing your system back into balance is unique to you. Your functional medicine prescription is very different from anyone else’s. Dr. Clemma Nash and Marrie Simpson, PA-C offer a full range of Functional Medicine Services at the Western Wisconsin Health Roberts Clinic. Unlike other functional medicine providers that have a cash only practice, we do accept insurance for office visits and traditional labs. There may be out of pocket expenses for advanced testing and/or supplements. Click here to learn more about our Functional Medicine services. Integrative Medicine treats the whole patient, not just the disease, combining evidenced based strategies with conventional medicine. The strategies guide the client in simple, readily accessible strategies to optimize health. These skills are particularly suited to hypertension, pain, anxiety insomnia, depression, irritable bowel, headaches, grief, and are excellent life skills. Mind Body Medicine focuses on the interaction among the brain, mind, body, and behavior, and the powerful ways in which emotional, mental, social, spiritual, and behavioral factors can directly affect health. With a strong emphasis on self care, Mind Body strategies include breathing techniques, meditation, imagery, biofeedback, movement, nutrition, drawings in individual and group settings. Dr. Kathleen Farah offers a full range of Integrative & Mind Body Medicine Services at the Western Wisconsin Health Roberts Clinic. Massage therapy is designed to relieve pain, promote health and wellness, prevent injuries and rejuvenate the body. We provide relaxation, therapeutic, and rehabilitative massage services. Each service is tailored to your specific needs. 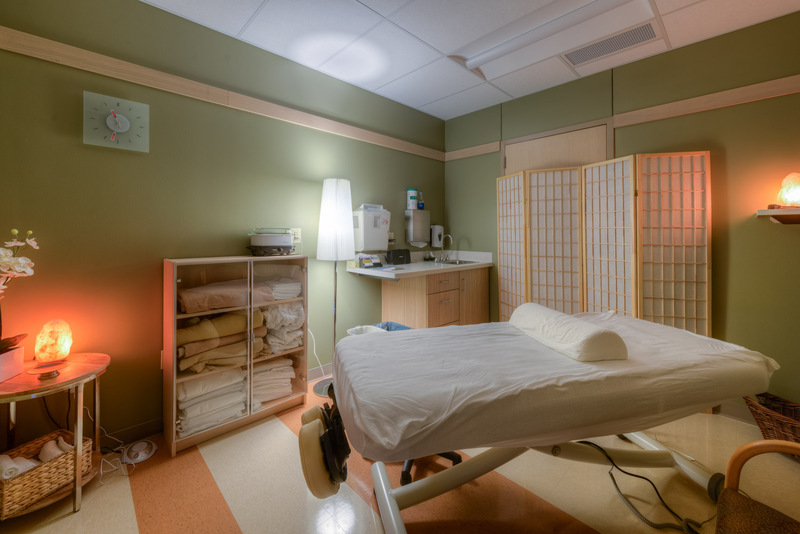 Our Licensed Massage Therapists offer deep tissue, sports, pregnancy, infant massage, aromatherapy, lymphatic drainage, geriatrics, cancer hospital based massage, trigger point, and myofacial massage services. Happy Birthday! Congratulations! Thank You! With so many healthy benefits, a Western Wisconsin Health Integrative Health Gift Certificate is a great idea for any occasion. Please fill out the form below to purchase a gift certificate online. A gift certificate will be mailed to you or you can come to the facility to pick it up! We offer gift certificates for our Integrative and Wellness Services. These do not apply to the Functional or Integrative/Mind Body Medicine Services offered at our Roberts Clinic. You are free to choose any desired denomination. The pain and tension just melts away and leaves me so totally relaxed and feeling stress free! Emily Jo has a professional, relaxed, friendly manner and atmosphere. I left feeling relaxed and my symptoms had improved in that the headache pain and upper back pain had lessened. I would strongly recommend Emily Jo; she works very hard to make sure you are helped each time you see her for a treatment. It doesn’t matter if I am being treated for a specific soreness, or general health and wellness, Emily does a great job.